In January 2017, President Joko “Jokowi” Widodo signed a Presidential Decree (Perpres) regarding the treatment of refugees and asylum seekers in the country. Previously, the management of refugees and asylum seekers in Indonesia had been based on the Immigration Law and the discretion of local authorities; the Immigration Law however, did not recognize the status of refugees or asylum seekers and as such, they were classified as “illegal immigrants”. By providing a definition of “refugees” based on the definition contained in the 1951 Refugee Convention, the Perpres goes some way towards filling a gap in the legal framework for refugees and asylum seekers in the country. Other notable provisions in the Perpres include detailed provisions on which government institutions are responsible for managing refugees in Indonesia together with their respective responsibilities, including search and rescue operations in emergency situations. 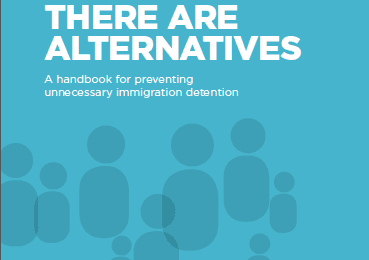 The Perpres also re-affirms the availability of alternatives to detention for refugees with special needs and vulnerabilities (illness, pregnancy, disabilities, children, and the elderly), stating that they may be placed in shelters instead of detention. 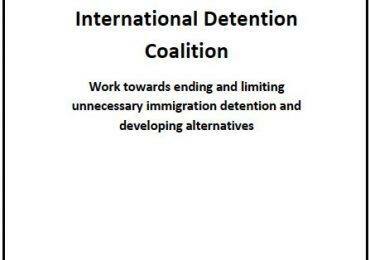 IDC member SUAKA welcomes this new regulation that has been developing since 2010. Febi Yonesta, chair of SUAKA, confirmed that this decree should become the key regulation and reference for officials regarding the treatment of asylum seekers and refugees. Prior to this law, officials were hesitant to address some issues affecting asylum seekers and refugees, including the arrival of people by boat. “Due to the absence of regulation their approach was often protectionist, which increases the vulnerability of people seeking asylum from war, persecution and mistreatment,” he said. The implementation of this decree will increase understanding among officials, both legally and in the field, and establishes coordination and a clear governmental approach to the treatment of asylum seekers, “no matter the mode of their arrival”. SUAKA has also stressed the need for the Perpres to be widely disseminated to government officials to “ensure effectiveness and compliance… especially in areas where asylum seekers and refugees are held in detention or live in the community”. While recognizing some of the areas of the Perpres that require further clarification, IDC welcomes this development by the Indonesian Government and the many stakeholders, including civil society, who supported its development.